Today it was 72 degrees at 6 AM as I prepared to ride to work. I knew that the Weather channel was forecasting thunder showers in the area about 9 AM so I knew that I should expect some rain. I started out without taking a jacket but I had my arm warmers in my pocket. 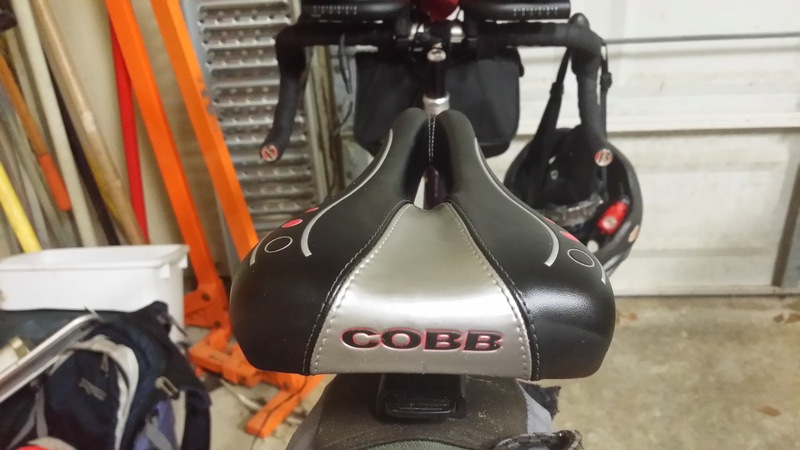 This was my maiden voyage on my new Cobb seat. 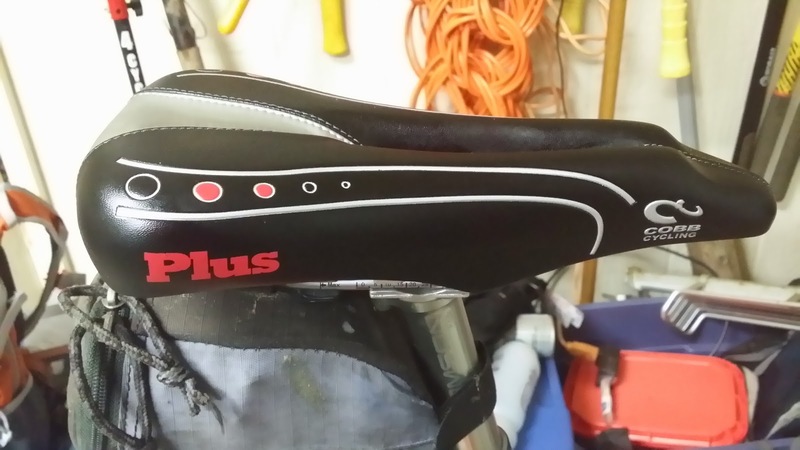 I have been riding a used Specialized seat since 1999 so it was time for a replacement. 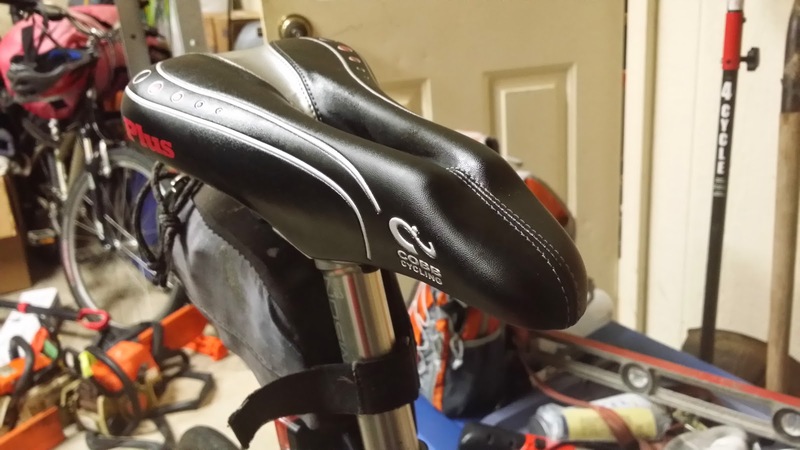 I purchased the seat from Higher Ground bike shop right after my 100 mile ride last weekend. 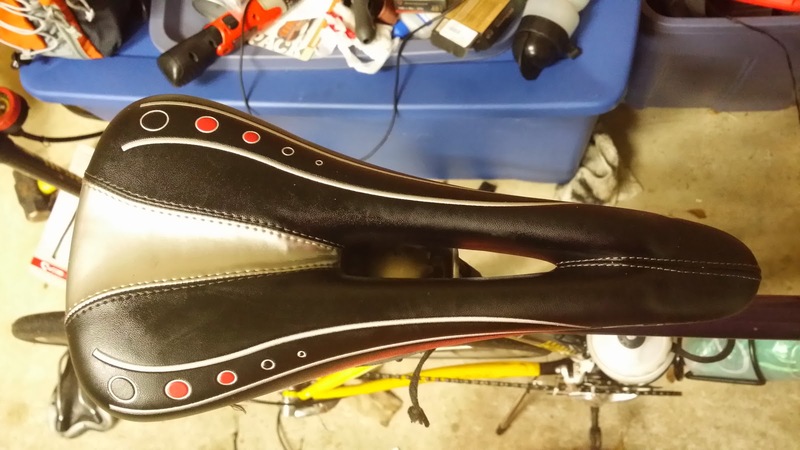 I had been searching for a seat for a few months and I finally decided to go with a seat that I could purchase with a 30 return policy. I am sure that this seat will work out, but I always want to have options. I took my short route to work which is about 12 miles. When I was 4 miles from my house it started raining really hard. There was only a slight wind, but it was warm and as I got wetter and wetter it finally felt refreshing to get completely soaked while riding my bike. I really like riding down very low traffic streets and roads where I can enjoy the variety of outdoor sensations sights and smells on my bike commute. today was a bonus as it was wet and wonderful. minutes. There I was riding on a new Cobb seat watching the mist and fog form on the road and in the fields as I rode home. I always like it when the temperature and dew point get whack after a rain when it is still warm and humid and the temperature starts to drop really fast. When I ride in the mist sometimes I spook my self when I see the reflection of my two rear flashers light up the fog when I slightly turn my head to see what is behind me. All in all it was a great ride today. ← How do I fuel on a 100 mile ride.